I stayed home all weekend, and just wanted to be a lazy bum, watch movies and feast on some slow cooked dishes with Phiras, especially since he just got back from London.. So we prepared our Boeuf Bourguignon, popped in a movie as it was simmering, and then had a gorgeous late lunch.. We spent the rest of the day splattered on the couch watching even more movies.. My kind of weekend.. And an even tougher start to the week! 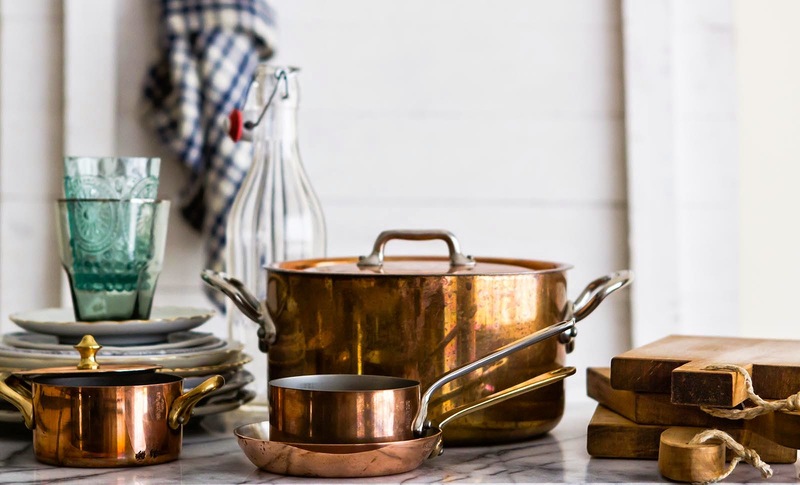 Season the meat with salt and pepper, place it in a bowl, add the bouquet garni, the wine and whisky, a little oil, and let it rest in the fridge for at least an hour.. When you're done marinating the beef, drain it from the wine mixture, keeping the marinade for later.. Heat a large pot (cast iron if you have one), and fry the lard until golden brown, then set aside.. Brown the meat in the same pot and once it has a nutty color set it aside as well.. Now add the carrots and the onions to the pot and deglaze by scraping all the yummy brown bits.. Once the veggies soften up, place the lard and beef back into the pot, add the marinade, bouquet garni and garlic.. Add a little hot stock, just enough to fully immerse the meat.. Bring everything to a rapid boil, then reduce the heat, cover and simmer for about 2 1/2 hours..
Heat a little butter, fry the pearl onions until they are soft and have a bit of color.. 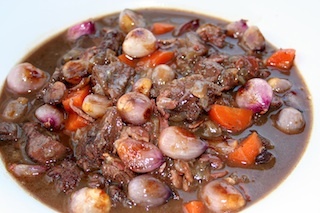 When your Beef Bourguignon is ready, remove the meat, lard, and veggies, and place them in the serving dish.. Drain the sauce, (which will help get rid of the excess fat), and pour the beautiful wine sauce over the dish and get ready to wow your guests.. Serve this with beautiful mash or roasted potatoes.. Bon Appétit!